Is there anyone you know who doesn’t like popcorn? The only person I know who really doesn’t like traditional microwave popcorn is my cousin Elizabeth. Growing up, she would cringe at the smell of fresh popped popcorn, and before kettle corn came to be, she would never touch it. Luckily though, she has come around and enjoys a bowl of kettle corn, but still stays away from traditional buttered popcorn. Among all the monumental developments of 1885 – the automobile was born, the Statue of Liberty was delivered to New York Harbor, and people first marveled at the dedication of the Washington Monument – one development forever change snacking: That same year Charles Cretors invented the popcorn machine, taking popcorn mainstream and helping catapult it to one of the best selling snacks of all time. 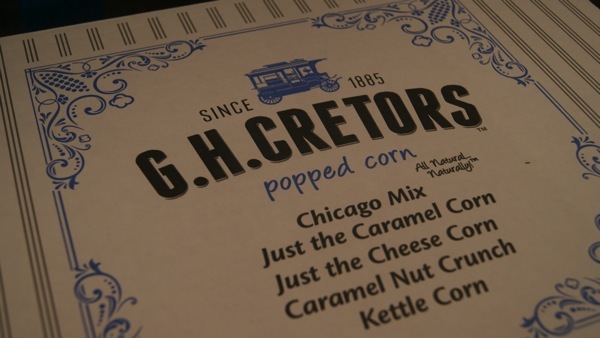 126 years later, a branch of the Cretors family (great-great- great-granddaughter Claire and her mom Phyllis) continue on the corn-popping family tradition launching a new brand called G.H. Cretors. 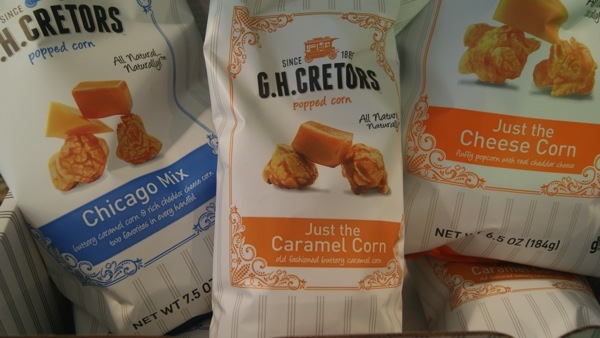 With a lineup of Chicago Mix, caramel, cheddar and kettle corn, G.H. 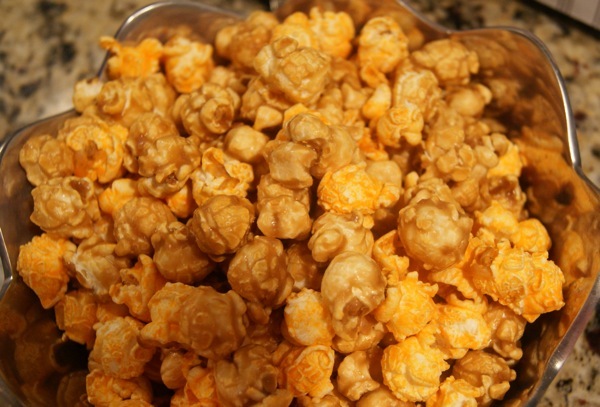 Cretors keeps to tradition by making its popped corn the good old fashioned way (by hand in copper kettles) and adds a new healthy twist, making its snacks completely free of GMO’s, artificial colors or flavors. This popcorn is amazing. It tastes so fresh and crunchy that it is hard to believe it came from a bag. If you are a sweets lover, the caramel is perfect for you. And if you love orange fingers and cheesey flavors – dive into the cheddar. My personal favorite is a mix of the two – The Chicago Mix. 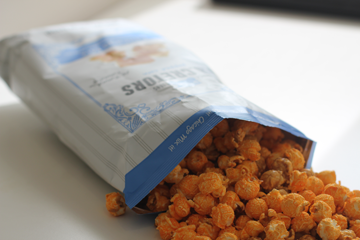 The Chicago Mix is a salty and sweet – like any real treat should be. I find the right combination to be 2/3 caramel pieces to 1 cheese piece. But try it and let me know what you think tastes best!